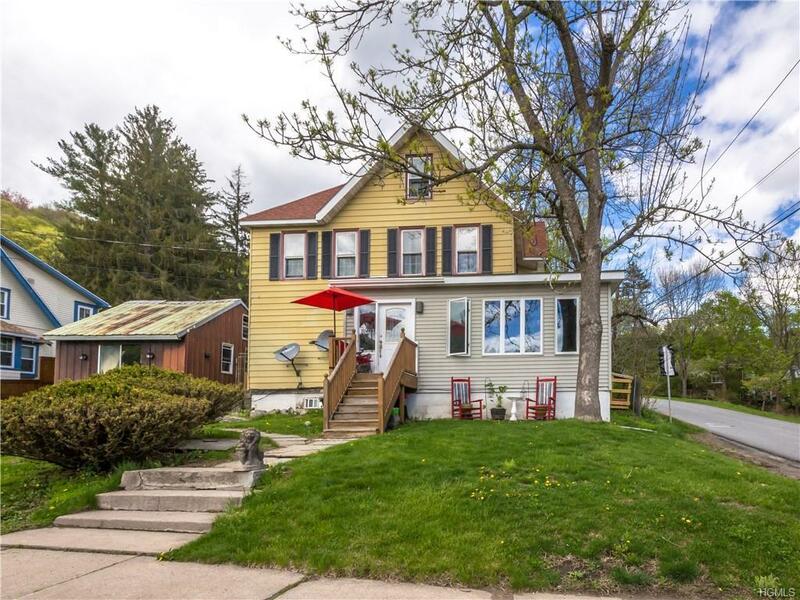 Charming old world style solid 3 family home located on a nice corner lot in the sweet village of Jeffersonville. Walking distance to all the trendy eateries and shops. Good investment opportunity and rental history. 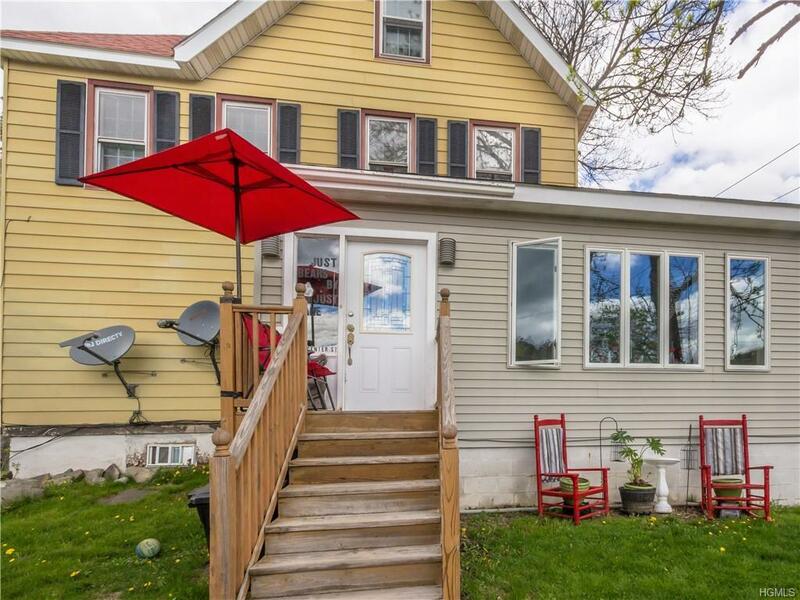 Mostly updated with new metal roof, newer windows and siding, kitchens, baths, appliances, wood floors plus upgraded heating system. 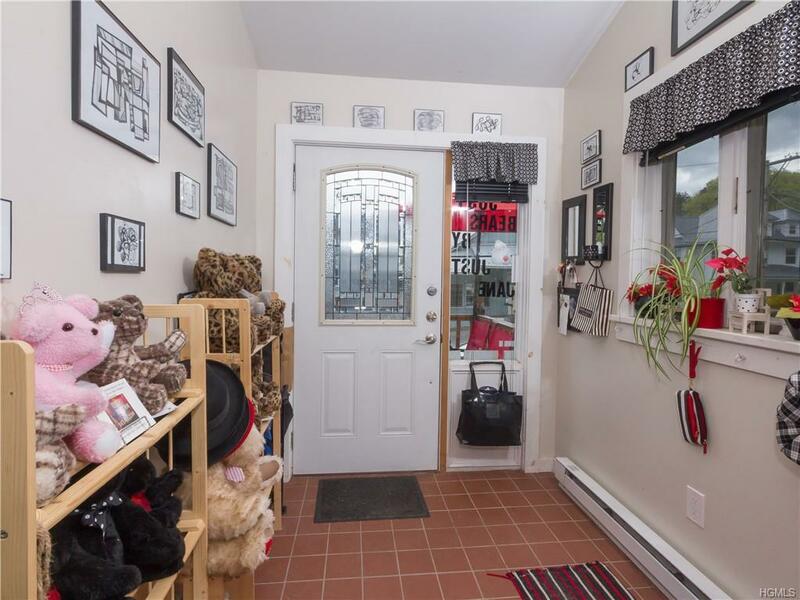 The 3rd floor 2 bedroom apartment is quite spacious with refinished wood floors, remodeled kitchen, living room, full modern bath plus steps up to a cool large finished attic accented with natural wood paneling with 2 closets - great storage space! 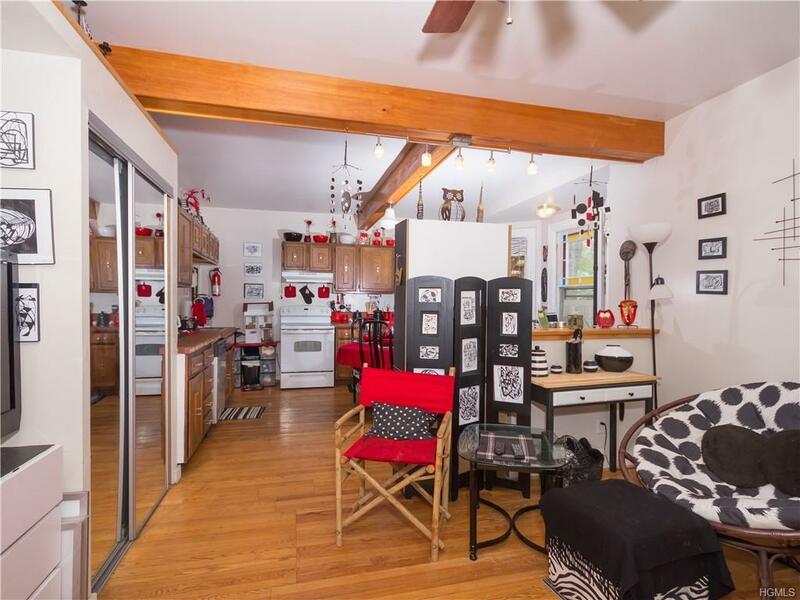 The center 1 bedroom apartment is lovely, bright and spacious accented with wood beams and french doors. The 1st floor is a studio which is not pictured. There is a large 24' x 24" storage building. Coin laundry on premise. Residents enjoy the recreational activities of the scenic Delaware River. Close enough to commute to the new Resorts World Casino, Yo1 Resort and the new Kartrite Water Park.